Use Whatsapp Plus? Then may be you have already been banned. Do you use WhatsApp Plus? if you use the app, uninstall it right now and use the native WhatsApp client from Google Play. 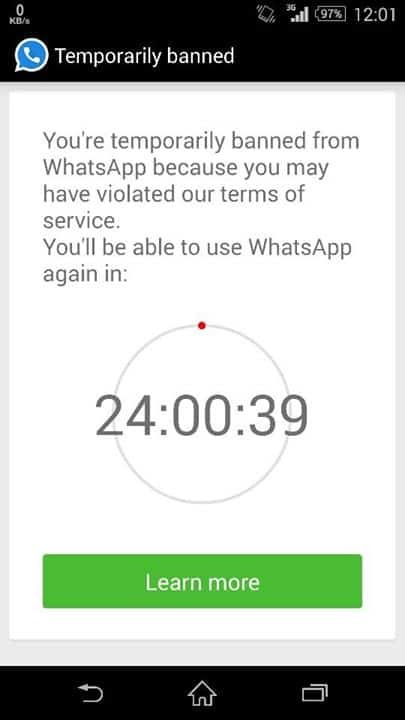 Just an hour and half ago, WhatsApp started banning users temporarily who had been using WhatsApp Plus. This affected the users from India first, and as per that the ban started from 21st Jan, 12 am. So, people who are from the west may have some time to uninstall the app and install the official client from Play Store. And below is the screenshot of what WhatsApp Plus users are watching when they open the app. 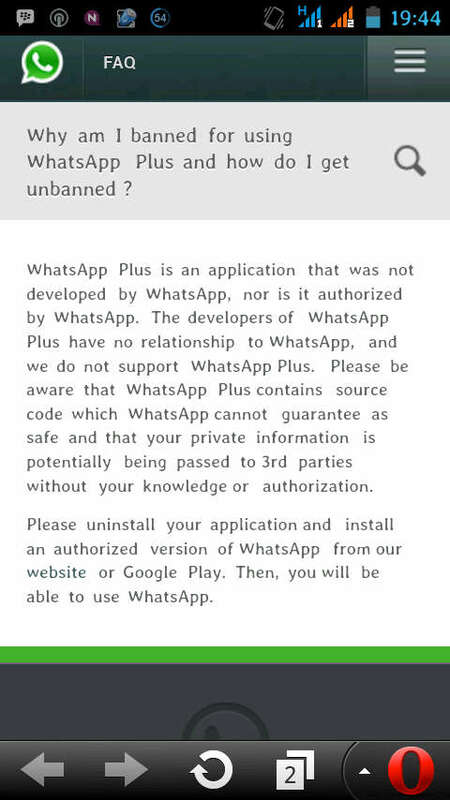 If you click the ‘learn more’ button, it will redirect you to the FAQ section o their site and here is what they have explained as their reason to ban people who are using WhatsApp Plus. WhatsApp Plus has been pretty popular among advanced users, who want sleeker design and some other features, but it was against the terms of service of WhatsApp, as WhatsApp Plus can see who have been using their app. WhatsApp has started this by banning users for 24 hours, and the worst part of is that you can’t lift the ban by re-installing the official client. Though, a 24 hour ban is s much better decision than banning users for lifetime or for long period. Looks like the parent company Facebook is now pushing the most popular instant messaging app to stop the third party apps and that is why they took such a step. As I have already mentioned, you can not lift the ban by installing the official client. However, if you wish you may report your issue to WhatsApp Helpdesk along with the details, like your phone number and email ID and also you can attach a screenshot there. However, I checked it out and saw that it was just like sending data via a form and you will get an email from the support team shortly. Though, as far as I have guessed from the contacts I made with the team, they are not lifting the ban before 24 hours. 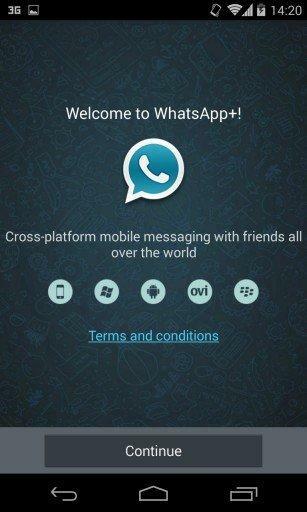 But, WhatsApp Plus has been pretty popular and it is one of the most popular apps in developing countries like India. We will keep an eye on what’s is going on. If you are living outside India and still using WhatsApp Plus, let us know, because we have got only a few people who have claimed to have been using the app till now.